We have been watching this area for years and it is finally getting the recognition it deserves .The Merrill family, owners of Pomar Junction Vineyard & Winery, recently announced that they have expanded their resources with the purchase of 278 acres in the El Pomar District of the Paso Robles AVA. The expansive property, formerly the Weyrich estate, combines a unique location with specific grape growing conditions, making it a natural fit for maintaining the quality associated with Pomar Junction and this unique region. In addition to becoming home for Dana and Marsha Merrill, it also has existing specialized infrastructure to support their Mesa Vineyard Management operations as well as private wine-related functions. The El Pomar District is home to vineyards that produce notable wines for brands such as Justin Vineyards & Winery, J. Lohr Vineyards & Wines, E. & J. Gallo Winery, and Still Waters Vineyards. Recent expansion of vineyards in this area is directly aligned with the growth of its recognition for producing sought-after flavor profiles. Located on Creston Ridge Road, near the intersection of South El Pomar Road and Creston Road, the vines on this property are influenced by the same calcareous soils, steep south-facing slopes and Templeton Gap breezes that the Merrill family has long appreciated about the El Pomar District. The dedicated work of wine industry pioneers, Dana Merrill among them, has led to a growing appreciation of this sub-region for its one-of-a-kind reflection of terroir resulting in distinctive wines. Currently, 93 acres are planted with Rhône, Bordeaux and Italian varietals that thrive in these growing conditions and complement both the winery offerings of Pomar Junction Vineyard & Winery and the needs of Mesa Vineyard Management customers. The maturity of the existing vines will allow immediate production of wines from this property and plans are underway to certify this vineyard Sustainable in Practice, continuing the responsible farming methods found throughout Merrill properties. Also, as future opportunities allow for growth, an estimated 60 acres have been identified as suitable for additional planting. This district continues to gain recognition through the growth of winery presence, accolades for resulting wines and praise from consumers. Incorporation of this property allows Pomar Junction Vineyard & Winery a spectacular new resource to encourage the continued development of their quality wine profile, memorable wine country experience and expanded exposure of the El Pomar District as a distinguished wine growing region. The next time your wine trail takes you near Paso Robes , this area and its wineries are well worth a detour off the beaten path. It’s the Holiday season once again and The Venetian and The Palazzo Las Vegas are home to Winter in Venice™, the second-annual celebration of the winter holiday season on the Las Vegas Strip. Dubbed “A Gift of The Venetian,” Winter in Venice features 50 days of holiday festivities throughout both resorts Nov. 18 to Jan. 6. Guests can take a spin on the outdoor skating rink adjacent to the outdoor gondola attraction with skating sessions. Made of recyclable polymer, the synthetic ice rink requires no refrigeration or electricity, making for environmentally friendly holiday revelries complementing The Venetian and The Palazzo’s green initiatives. Skating sessions cost $14.95 per person ($9.95 for locals and Grazie members) and includes skate rental. - Open daily from 11 a.m.-11 p.m.
- $14.95 per skater, includes ice skate rental ($9.95 for locals and Grazie members). Children ages 7-12 skate complimentary when accompanied by a Grazie member or an adult with Nevada ID. Limit three children. Identification must be presented at time of purchase. As a marquee addition to Winter in Venice, Grammy Award®-winning composer/musician Chip Davis will bring his award-winning holiday production, “Mannheim Steamroller Christmas Las Vegas by Chip Davis,” to The Palazzo Theater. The six-week, exclusive run beginning Nov. 20 will feature Mannheim Steamroller’s renowned program of signature Christmas classics and state-of-the- art multimedia effects. This classic holiday tradition has been expanded for its first-ever Las Vegas residency with added choreography, aerial displays and other new elements, to create an unforgettable experience. - Nov. 20 – December 30, all show times beginning at 7 p.m.
- Tickets are available by calling The Palazzo Box Office at (866) 641-7469 or (702) 414-9000, or online at Palazzo.com. A new parade will wind through The Venetian’s Doge’s Palace, featuring characters from the Winter in Venice celebration. The whimsical and elaborate designs will set the stage for the evening’s entertainment, and offer the perfect photo opportunity for a post to Facebook or Twitter. Preceding the parade, seasonal storylines will be projected in another way – in glorious 3D – in the technical marvel “Light of Venice.” This spectacular 3D projection show that transforms the architecture of the iconic clock tower using state-of-the-art digital technology. The show will conclude with a live finale that will illuminate the iconic plaza, including the 65-foot Christmas tree. Guests will also enjoy strolling musicians and special entertainment performances scheduled throughout the 50-day celebration. 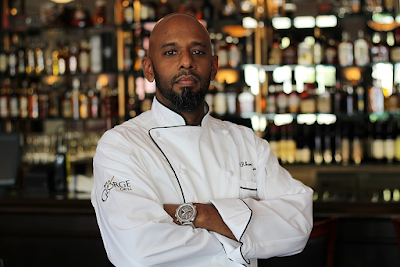 As part of Winter in Venice, guests can witness the rise of a culinary legend, as one resort chef is crowned the winner of the first The Venetian Culinary Clash master chef competition. The competition provides head-to-head competition between the sous chefs and chefs de cuisine from dozens of restaurants located inside The Venetian and The Palazzo. 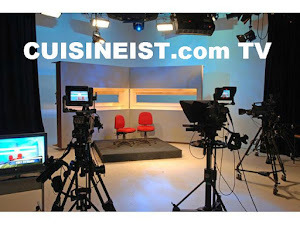 Chefs will be challenged to create recipes using ingredients provided in a “mystery basket,” to be prepared in mobile “food truck” kitchens, located at The Venetian’s Doge’s Palace plaza. Each chef’s creation will then be available for sampling. Expect plenty of surprises, including guest appearances by The Venetian and The Palazzo’s celebrity chefs Emeril Lagasse, Mario Batali, Joe Bastianich and Sammy DeMarco, who are judges of the competition. 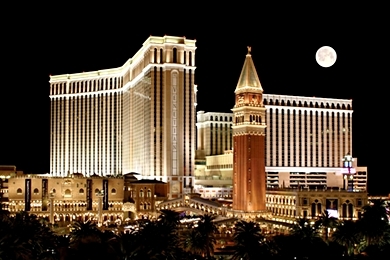 Once again, The Venetian and The Palazzo Resorts will be the place to be on the strip during the holiday season. 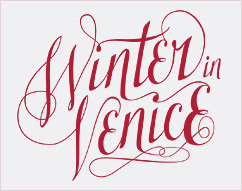 Join us at this year’s Winter in Venice Celebration we anticipate that is will be bigger and better than last years .